It's DANCE for god's sake!!! 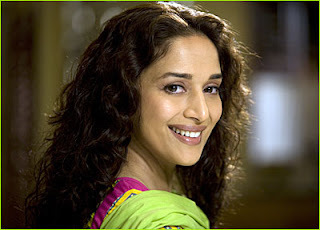 And MADHURIIIIIIIII!!! me too waiting 4 t..
wowww... watched the trailer!!! Madhuri is as charming and as graceful as ever!!!! Should be a great comeback!!! not a madhuri fan..but comebacks are always interesting to watch! and hey, noticed the date doesnt show up on your blogposts anymore - why is that? not good.. I can't wait either !!!!!! Its madhuri dancing, not some skinny female with straightened hair ! That woman is my goddess !!!! Hmmm... Is it really good?